The song Coca Cola from the film Luka Chuppi(2019) released on 03 Feb 2019 with a duration of 02 minutes and 59 seconds. 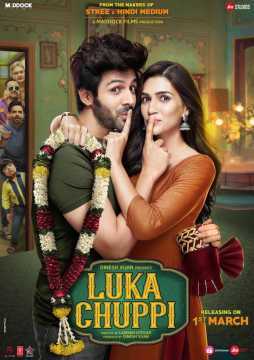 Coca Cola is picturized on Kartik Aaryan and Kriti Sanon. The lyrics of Coca Cola are by Tony Kakkar and Mellow D. It has been sung by Tony Kakkar and Neha Kakkar.